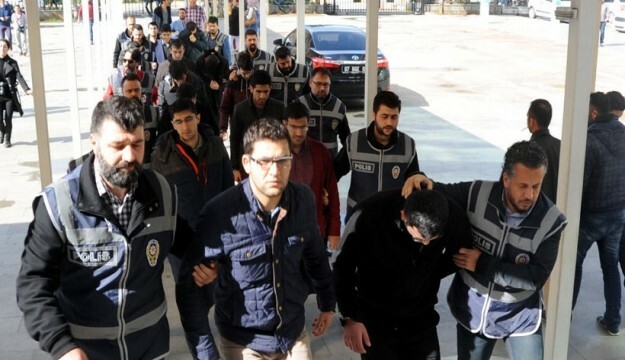 A total of fifteen people, including police officers, teachers and school principles were arrested by a Turkish court on Wednesday in an investigation targeting the Gülen movement, which the Turkish government blames for a failed coup last July. According to the report, police detained 28 people early on Wednesday in simultaneous raids across Antalya province. Of those, 15 were sent to jail later the same day, while 13 were released pending trial. The initials of the arrestees are as follows: A.B., H.Ö., C.T., İ.G., B.S., A.M., E.Y., A.B., A.K., A.D., M.A., H.Ş., İ.H.D., H.Ç.